At about 7.30am on 20 February, a youthful figure with auburn hair to his shoulders presented himself before the Mayor’s office in the city of Varna, Bulgaria, with a banner and a gas canister. Plamen Goranov, 36, had been a leading activist in protests against political corruption that have galvanised the EU’s poorest member state this year. That morning, he sat down in front of the office on a white sheet, shouted out his demand that Mayor Kiril Yordanov resign, poured paraffin over himself and set it alight. Eleven days later, he died. Two days after that, Mr Yordanov did as Mr Goranov had demanded. 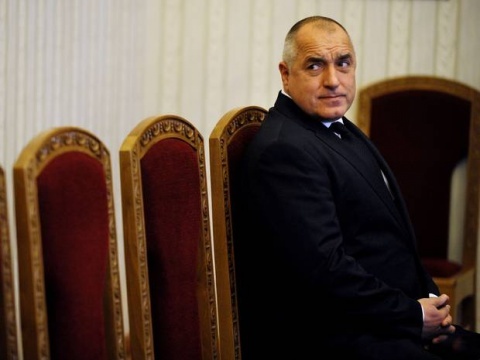 And soon after that, Prime Minister Boiko Borisov, whom the protesters also accused of flagrant corruption, went the same way, which is why Bulgaria is going to the polls on Sunday, months ahead of schedule. Plamen Goranov, in other words, and the four other Bulgarian activists who killed themselves in the same way in February and March, achieved what years of tortuous and expensive scrutiny by the European Union prior to Bulgaria’s admission failed to: they threw a harsh light on the rotten state of Bulgarian politics, and forced it to change. Bulgaria and Romania went through the motions of renouncing communism after the fall of the Berlin Wall, but the reforms were cosmetic, and most of the party nomenklatura managed to cling on. Nothing substantive has changed since then, and today this entrenched and rotten elite dominate parliament and the economy, just like in the bad old days; they intimidate the media and are believed to be in league with organised crime. All this constitutes a serious problem for the EU, a cancer in the union’s body politic that is bound to grow more serious with the passage of time. One of the EU’s strongest propaganda points is that when it expands it has a transformative effect on a new member state, not only electrifying its economy but also purifying its politics and imposing modern values on its society. Bulgaria’s experience proves the claim to be threadbare. British Eurosceptics blame the union for poking its nose into our affairs, but when such interference is actually meaningful – when an applicant state is at the door, cap in hand, and Brussels really has some leverage – it has, in the case of Bulgaria and Romania, signally failed to jump-start radical reform. Mr Goranov’s comrades link his name with Jan Palach, the Czech hero of 1969 who burned himself to death after the invasion by Soviet tanks, and Mohamed Bouazizi, the Tunisian street vendor whose self-immolation sparked the Arab Spring. In the same breath, they should also recall Thupten Ngodup, an exile in Delhi and the first Tibetan to die this way, back in 1998, anticipating by more than a decade the 100 and more Tibetans who have chosen the same end. But Ngodup’s death was no more efficacious against the Chinese behemoth than was Palach’s against the Soviets. Serious hunger strikes, such as the ones at the Maze prison in Northern Ireland in 1981 and the ones in progress in Guantanamo Bay, are self-immolations in slow motion, the slowness dictated either by a desire to leave options open or by lack of access to paraffin and matches. But every determined hunger strike, like every self-immolation, is a garish sign of political failure: in civilised countries, no confrontation should ever come to such a pass.